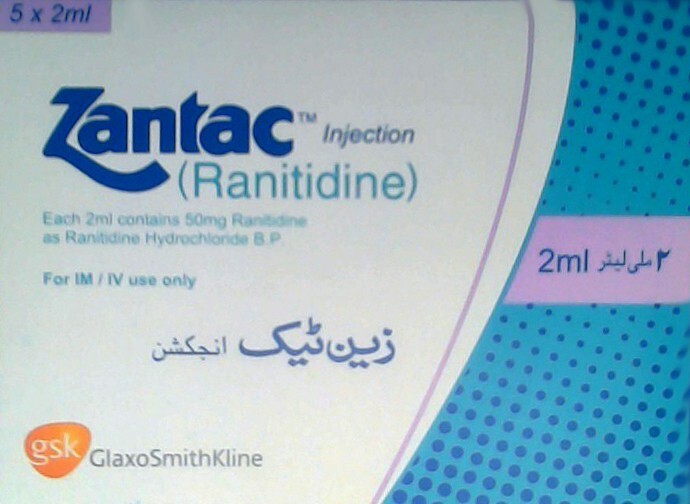 Zantac is produced by GSK, which contains Ranitidine. It stimulates secretion of gastric acid and reduces acid and pepsin content of the secretion. Zantac is being used for the treatment of duodenal and gastric ulcer, post-operation ulcer, reflux oesophagitis, stomach pain and also being used as an anti-inflammatory agent. Zantac 150mg is best medicine for gastroesophageal reflux disease (GERD). Site Effects: Some common side effects of Zantac include constipation, vomiting, headache, diarrhea etc.